When the hustle and bustle of London gets a little too hustley and bustley, it’s time for an escape from the city. I rounded up a couple girlfriends and made for Bristol, less than three hours by bus from London. 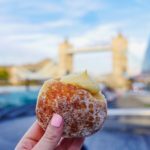 While Bristol is significantly less populated than London, the metropolitan area is the 12th largest in the UK, so it was a perfect choice for a fun girls’ weekend. 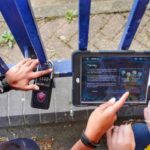 We purchased £13.80 Megabus tickets and arrived in the city just after lunchtime. The city straddles the River Avon and boasts a rich maritime history. Our Canadian friend was especially impressed that John Cabot, the explorer who discovered Canada, set sail from Bristol. We passed by a replica of Cabot’s ship, the Matthew, as we made our way to the hostel. Although we researched several hotel and hostel options, we decided to stay at the Kyle Blue Luxury Hostel Boat. Moored in Wapping Harbour between the SS Great Britain and the MShed Museum, it’s a perfect base for exploring Bristol. A short five-minute stroll takes you into the heart of the city. 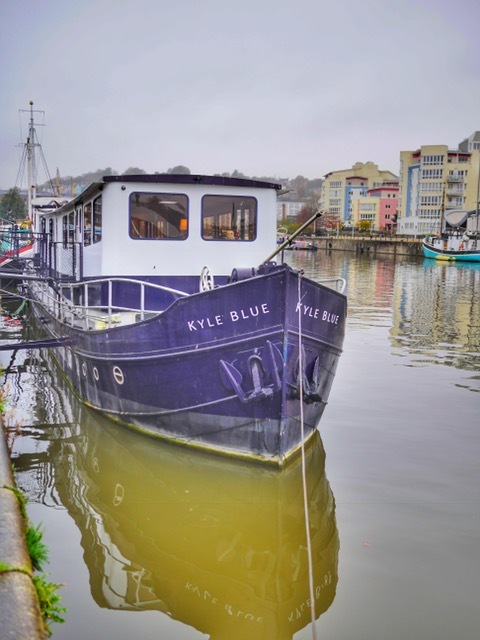 The Kyle Blue Hostel has only been open for a year, and still has that new-boat smell. Everything felt fresh and clean and the kitchen and common areas were immaculately kept. And the staff is pretty amazing. Upon check in, we decided to do our nails (this is a girls’ trip, after all!). James, who had checked us in, was getting ready to head home, but wanted to ensure that we knew all there is to know about where to go and what to do, so he sat with us as we painted our nails and told us about awesome locals-only spots, as well as the bars to avoid. James was the first of many friendly locals who took the time to share insider knowledge and genuinely friendly conversation. After settling in (and letting our nails dry), we headed up Park Street to see if we could view some of the Banksy art throughout the city. The world-famous street artist was born in Bristol in 1974, and it’s a rare treat to find some of his earliest works in the city where it all began. We immediately found Well Hung Lover, painted on the side of a sexual health clinic and best viewed from the small bridge on Park Street that crosses Frogmore Street. 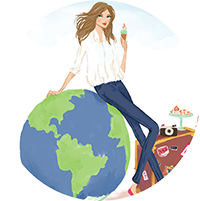 Traveling is tough work, so next stop: food! 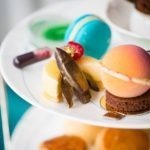 Boston Tea Party won Food Magazine’s Best Café award in 2015, and the queue spoke to its continued popularity. With freshly baked breads, organic, vegetarian and vegan options, there was something for everyone in our group. I tried the Sweetcorn Hash with halloumi, poached eggs, avocado & tomato salsa, and it was worth every penny of the £8.50 price tag. You can feel good every time you walk through the door of a Boston Tea Party café, because in addition to making ethically sourced, quality food, they also have a commitment to making the world a better place by using their business as a force for good and supporting projects in the local community. 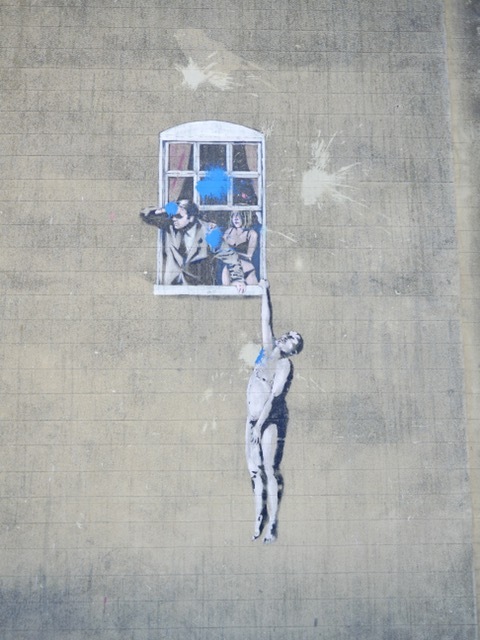 Our girl talk was interrupted when we looked out the window and noticed a piece of street art by another Bristol legend, Nick Walker. Don’t miss the famous Coat of Arms by the artist who sold £750,000 worth of art at a solo exhibition at London’s Black Rat gallery in 2008. Winter days are short, so we walked up to Cabot Tower for sunset. This iconic tower celebrates John Cabot’s voyage to North America. If you fancy yourself a bit of a Disney princess, this is your Rapunzel moment! Climb up the steps and let your hair down! Or just take in the breathtaking views of Bristol and the Harbourside… completely up to you. 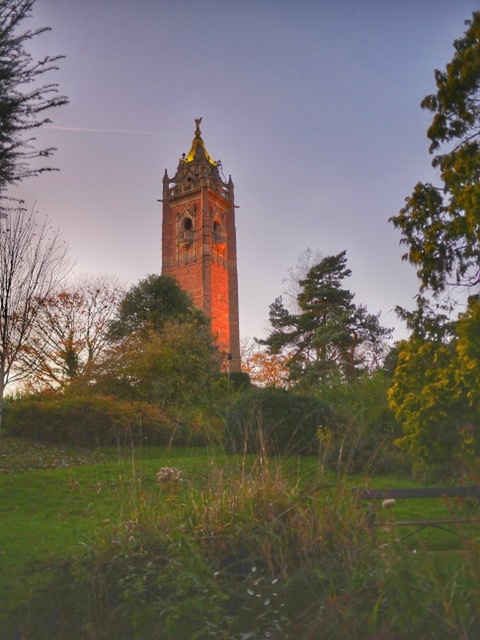 Walk through Brandon Hill, Bristol’s oldest park, and you’ll almost forget you’re in a city as you make your way though the canopy of trees. 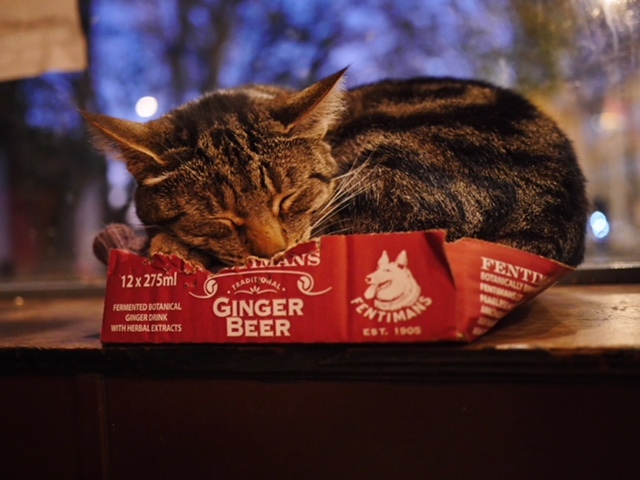 Emerge from the park and you’ll arrive at Bag of Nails, Bristol’s famous cat pub. 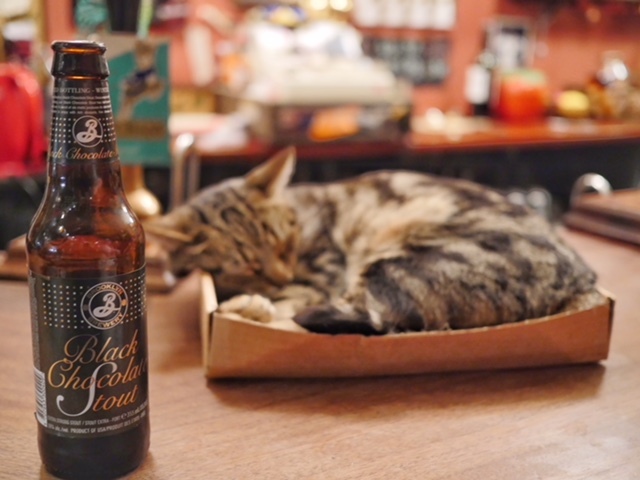 Home to around 18 felines, this pub is the cat’s meow. Boxes are strategically placed around the pub, and it seemed that the smaller the box, the bigger the cat who tried to lay inside. One thing I love about this pub is that the cats are free to come and go as they please. The kitties have 24-hour access to Brandon Hill Park, so the ones who are inside truly want to be there. 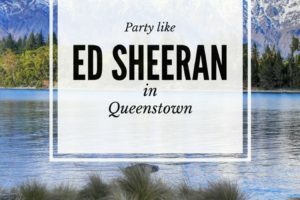 And who wouldn’t want to be there? 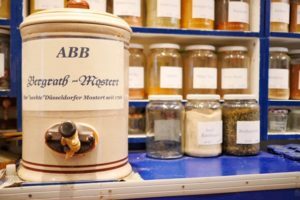 The craft beer scene is on point, the staff is friendly and the extensive list of rules ensures that the pub attracts only fun and friendly people. (#3 Racists, etc, can just sod off. #4 If you don’t like Johnny Cash, shut up or go away. #20 No annoying screeching.) Throughout the course of the evening, our group of three girls grew as locals and other travelers joined our table. 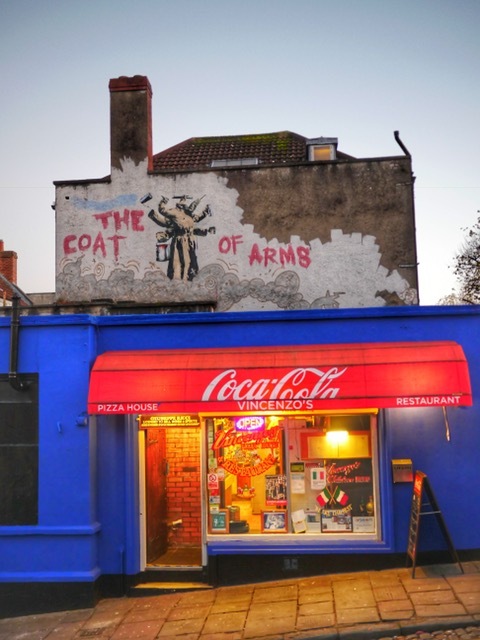 As we walked home, we stopped at Catch22, one of Bristol’s best fish and chip shops. Although we arrived just before closing, the employees were friendly and welcoming and the fried halloumi was just what I needed to get the rest of the way home. Day two began with a bit of a lie in after trying all of the chocolate stouts Bag of Nails had to offer the night before. Big nights call for big brunches, so off we went! Brunch at Spicer + Cole’s website says “Good food makes us very happy. What makes us even happier, is cooking food that our customers love eating.” And boy, did they make us happy! I was traveling with my favorite veggie friend, who obviously rubbed off on me. I ordered the S + C Veggie with halloumi, smashed avocado, sumac roast tomatoes, mushrooms, poached eggs and sourdough toast. Last minute, though, I subbed the tomatoes for bacon (OK, so maybe Grace from The Idyll hasn’t rubbed off on me TOO much). 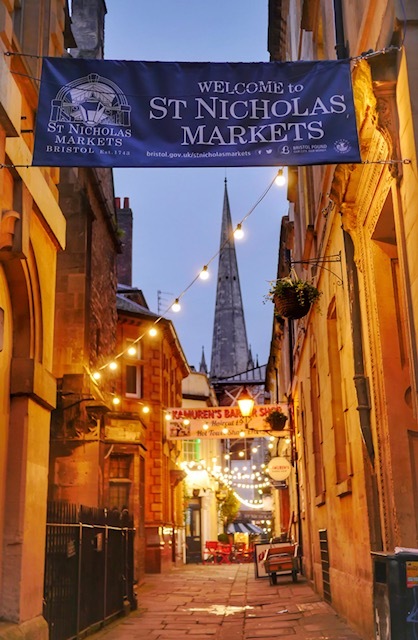 Although the St. Nicholas Market sounds quite Christmassy, it’s actually open year round. 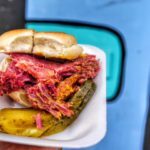 Established in 1743, it’s Bristol’s oldest market and caters to locals and tourists alike with events throughout the week selling food, fresh produce, gifts and handmade crafts. Head out of the city center on a bus to the Beehive Cafe. 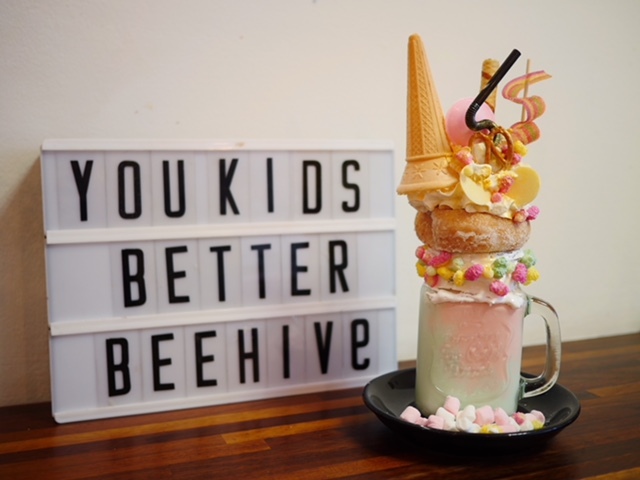 Their unicorn freakshake was the reason Bristol held a draw for me, and I felt a bit like a kid in a candy shop when I found that they have a whole entire unicorn menu. THIS. IS. NOT. A. DRILL. Get your magical self over there right now and experience the rainbow fun for yourself. Once your inner child is smiling, it’s time for some grown up fun. 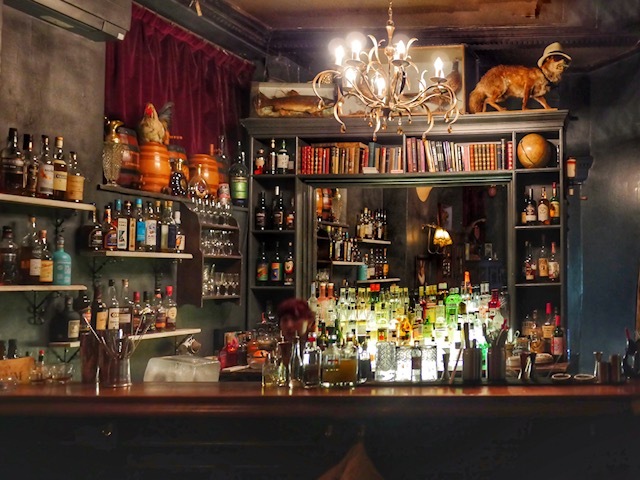 If enjoying fancy alcohol in a themed bar is your kind of fun, find your way to Bristol’s original prohibition bar, Milk Thistle. 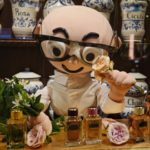 A recent convert to gin fandom, I 100% enjoyed my Psychopomp Xoltol gin and tonic with orange peel, juniper and chipotle, made even more delicious by the atmosphere. Dubbed ‘the flirty younger sister’ of Bristol’s hippest prohibition bar, Hyde & Co., I almost didn’t bat an eyelash at the £11 price tag. 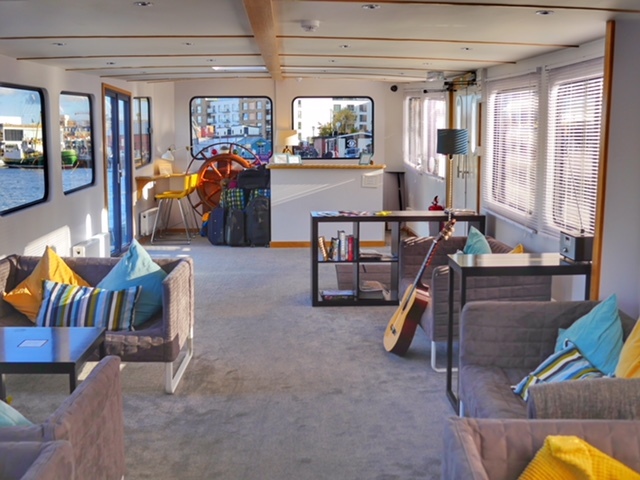 Sleeping on a boat is just the beginning of potential maritime adventures in Bristol. Under the Stars is a restaurant in a boat, illuminated by fairy lights. Be sure to call ahead, as this tapas and pizza restaurant fills up quickly. I’m not sure how they accomplish it, but Under the Stars manages to foster a hidden, cozy feel, while fostering a hip, buzzy atmosphere. 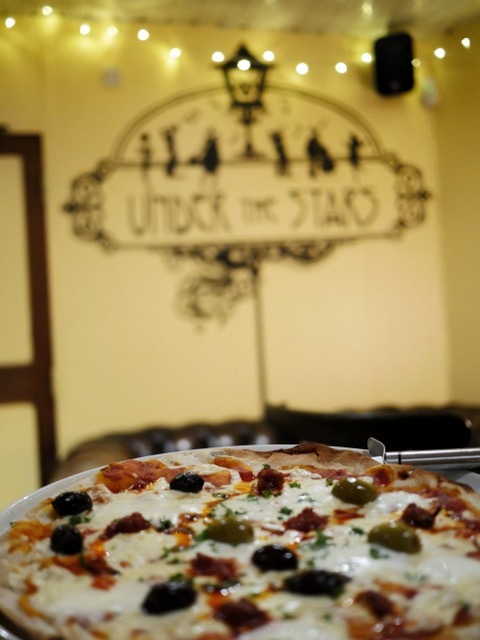 Their pizzas are affordable and tasty and their cocktail list has a speakeasy vibe with prices that are not prohibitive in the least! We walked from Under the Stars’ boat to our hostel boat for one last night in Wapping Wharf. There are so many things to do in Bristol, but we made the most of our 48 hours and left with full hearts, full bellies, and looking forward to the next time we’d get to visit Bristol and explore the city even more! Brings back some fab memories of living in Bristol! I didn’t know about the hostel on a boat though, I’ll have to check that out next time I’m back! Definitely– it was a great place to stay!! 🙂 I hope you make it back soon!! 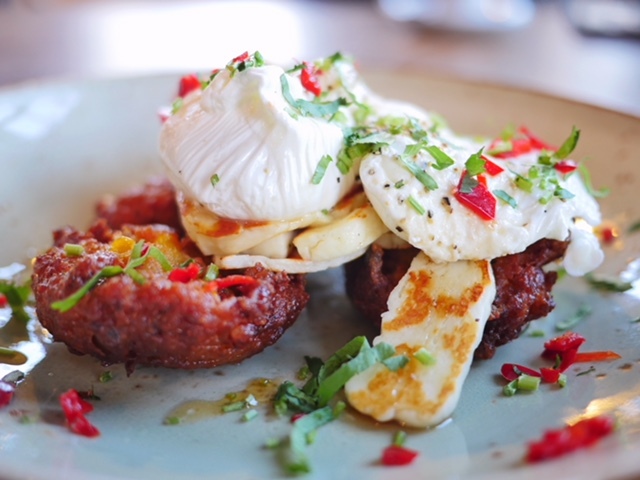 Oooh that brunch at the Boston Tea Party is to die for…all my favourite things – poached eggs, avocado and halloumi 🙂 and I’m putting that hostel houseboat on my list for potential accommodation on the next visit! I never even knew halloumi existed until 2.5 years ago. I’m making up for lost time now, though!! I loved my visit to Bristol more than 10 years ago. But it was too quick, I didn’t any of these things you listed! Glad to know I won’t make the same trip at all if I go back 🙂 And this hostel boat looks amazing!!!! 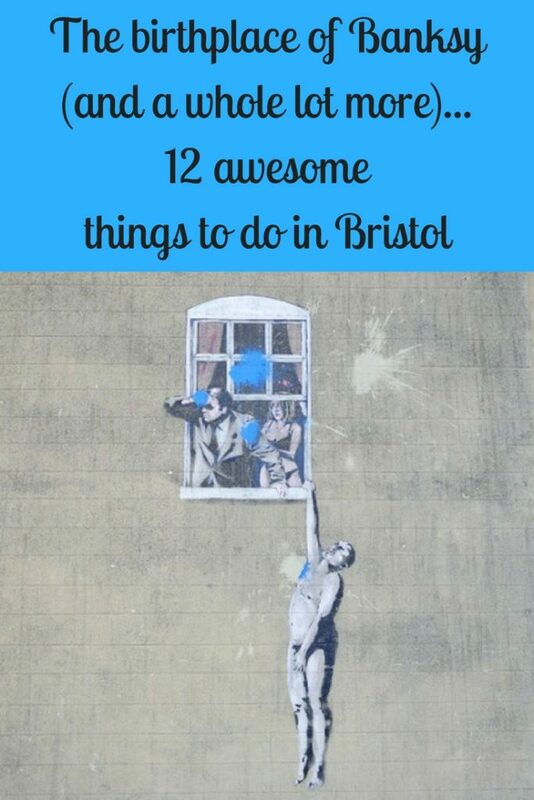 I definitely have more to explore in Bristol, too!! Hoping to go back and see more of the city soon! 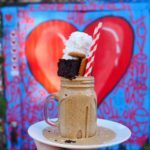 Deal… but only if you have a freakshake 😉 Can’t wait for our next adventure!! Such a lovely place. i visited Bristol last year on my trip to UK & i have to admit that Bristol one of my favorite destinations now including some others like Exmoor, Oxfordshire. 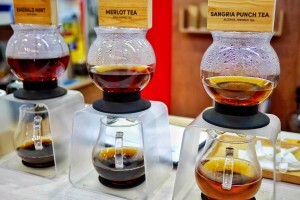 Well i happen to like places with a rustic feel.